Lenny Kravitz won France's highest honor. 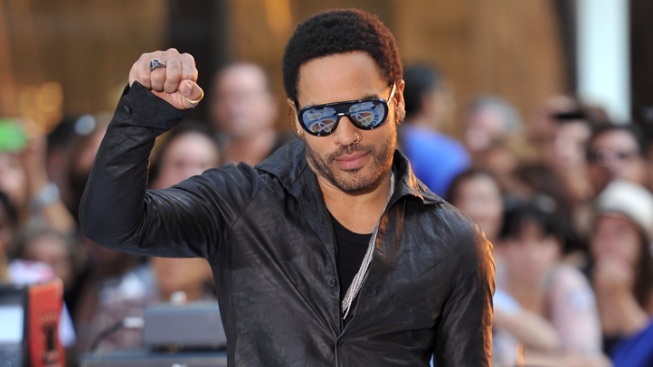 France has paid tribute to Grammy winner Lenny Kravitz with its highest award, the Legion of Honor. Culture Minister Frederic Mitterrand hailed the 47-year-old singer-songwriter at a Paris ceremony on Wednesday, telling him "you freed yourself of the barriers between black and white sound." Kravitz told The Associated Press that he got his first big break at a 1989 music festival in the western French city of Rennes that transformed his career "overnight." He said "I know it sounds like a fairy tale but it's true." Kravitz was born to a black mother and white father, and his latest album, "Black and White America," tackles interracial issues — notably what his parents experienced in 1960s New York.